Meghli is mainly offered when there is a newborn in the family. 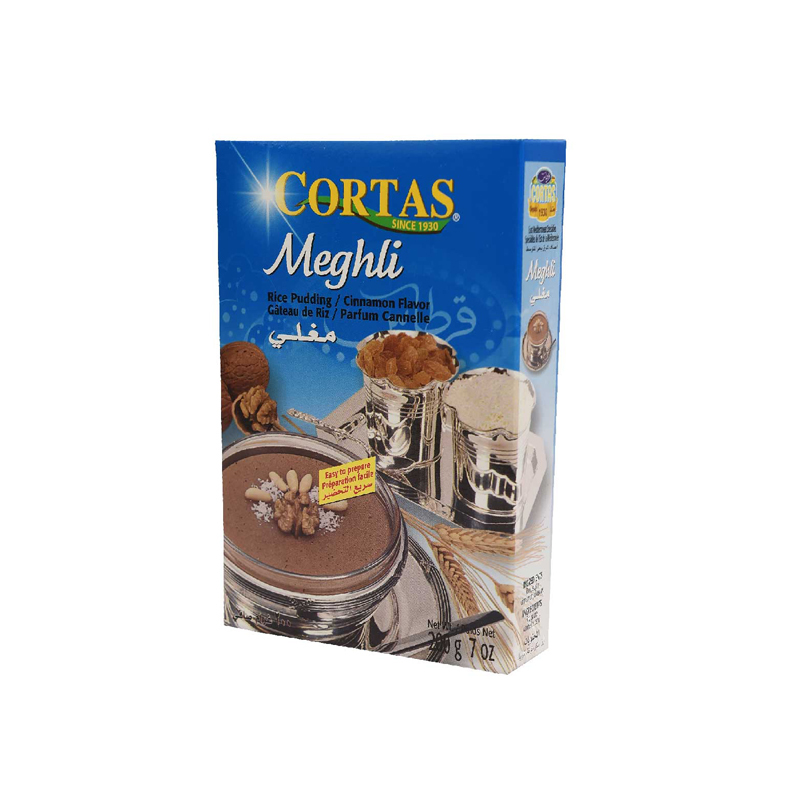 In a fire-proof saucepan, add 4 teaspoons of dry mix Cortas Meghli for each cup of cold water. Stir well and then put on fire while stirring constantly until boiling. Reduce heat and simmer. Stir occasionally to obtain the desired consistency. Transfer to individual dessers bowls and let cool. 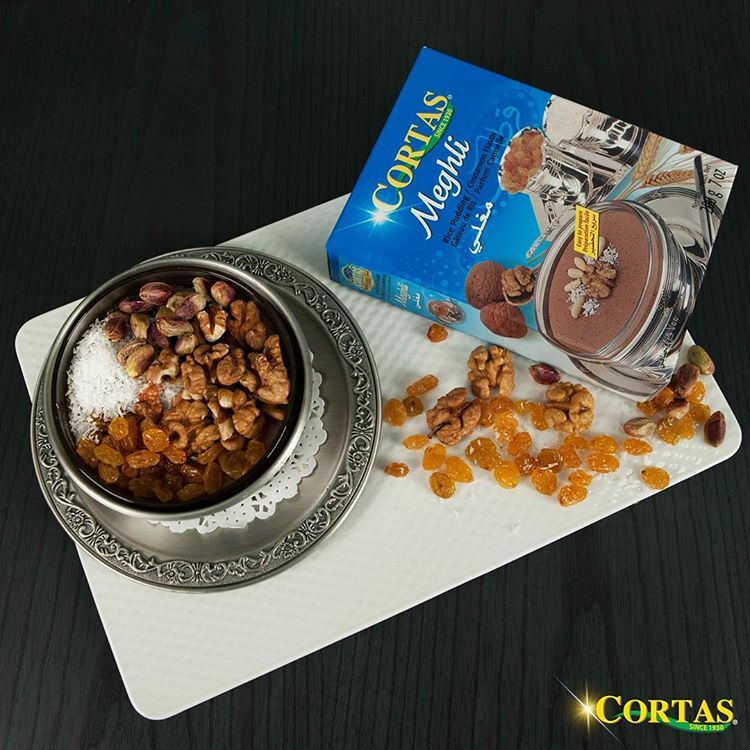 Decorate with coconut, powder, pine seeds, nuts and almonds. Serve chilled.